Gardening doesn’t stop in January. Here is what I’m doing this month in my garden. 1. Organizing seeds for the spring growing season. Discard any old or outdated seeds. Seeds become less viable with age. Sort through current seed catalogs for fresh seeds. 2. 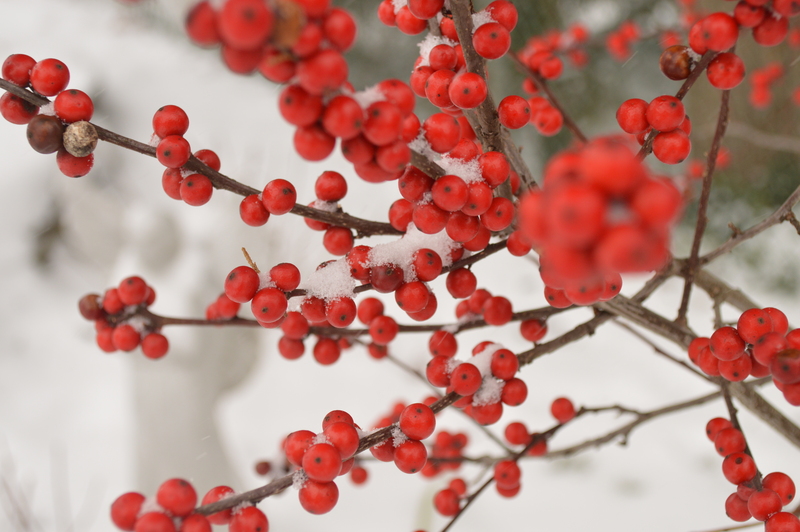 Attract birds to your winter garden. There are plenty of birds that stick around during the winter so keep feeders filled with plenty of black oil sunflower seeds. 3. Makes plans for spring, literally. Make a sketch of your garden, nothing too fancy. A simple drawing or outline of your garden can help you visualize where your garden is and where you are going to take it in the future. 4. Keep a journal of your successes and failures. Having a journal is a great way to document your plantings and how well they are growing along with container garden recipes. It is also a great way to keep a log of weather conditions from year to year. Write down the day, the weather conditions for that day as well as the high and low temperature. 5. Take inventory of your tool shed. Be sure tools are cleaned properly, sharpened and ready to go when you need them. Spring can’t come fast enough for myself and my friends who love to garden. 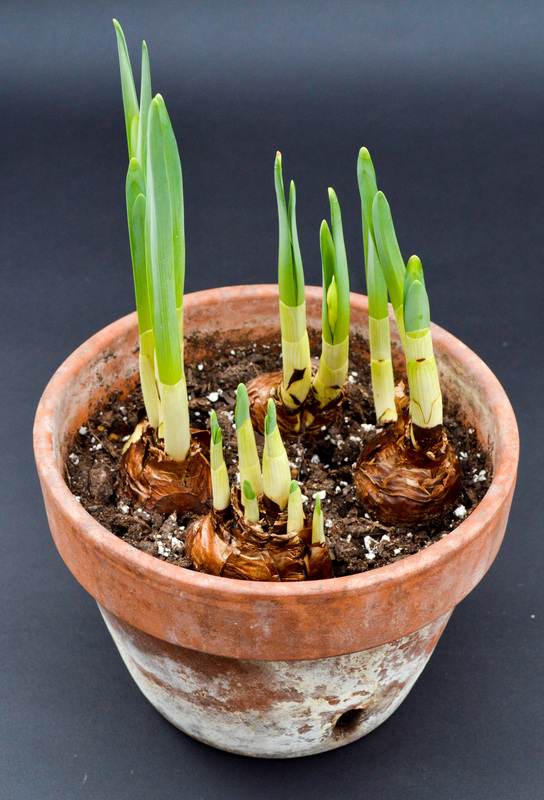 Forcing bulbs indoors during the winter is the perfect excuse to get our hands dirty and do some gardening. Here are a few things to remember if you are planning to force flowering bulbs. Fooling mother nature is not as hard as you think. To force spring bulbs in January and February you have to plan in the autumn. If you have purchased already bulbs you may notice that the package is labeled “prechilled”. if they are not chill bulbs for approximately 10-15 weeks at 35-45 degrees depending on the type of bulbs. Place bulbs in a cold dry place, like an unheated basement or even a refrigerator. Once they are planted blooming occurs in 10-12 weeks. 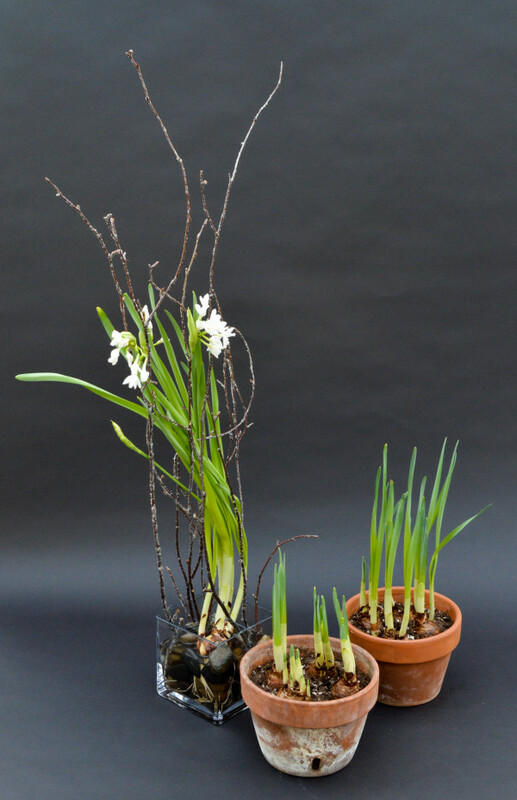 Amaryllis and paperwhites don’t need to be prechilled, they prefer cooler temps to set roots and flower in 6-8 weeks. 1. Plan ahead. Purchase bulbs in fall from a local nursery or garden center. Look for bulbs that are “prechilled” to save yourself some time. 2. Planting. When bulbs are ready to plant use an all-purpose potting mix and a pot that is twice as wide as it is deep with drainage hole. Fill pot half way with soil. Place bulbs in pot. The number of bulbs you plant is determined by the width of the pot. Leave space between each bulb to allow room for growth. 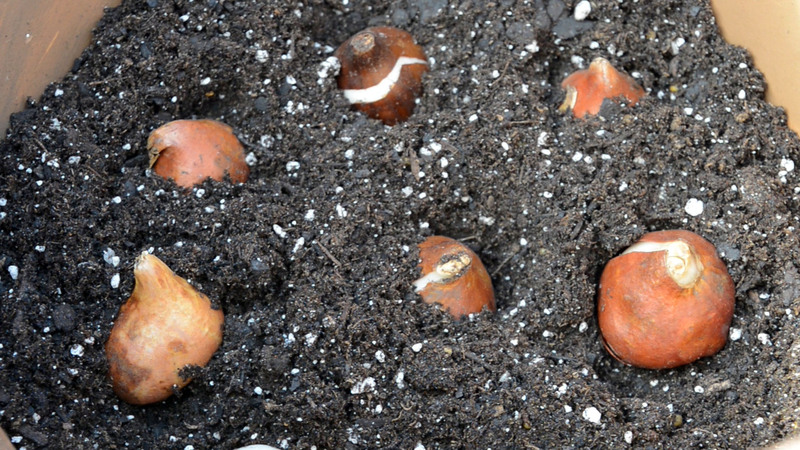 Lightly cover top of bulbs with potting soil leaving the tips of the bulbs above the soil. Water in bulbs. 3. Re-locate once bulbs have been chilled and begin to show green tips place in a warm sunny location. 4. Check watering occasionally keeping in mind that bulbs do not like heavy wet soil. Make sure soil dries between waterings. If you are planting in water add stones to help stabilize the bulbs when they set roots. If you are using a bulb forcing jar you don’t need stones. Leave the neck of the bulb above water,. Remember when forcing bulbs to schedule the time you want the bulbs to bloom. For January bloom time be sure to chill bulbs in September. For February and March bloom time chill bulbs in October and early November. Gardening indoors can be a challenge for many people, but it doesn’t have to be. 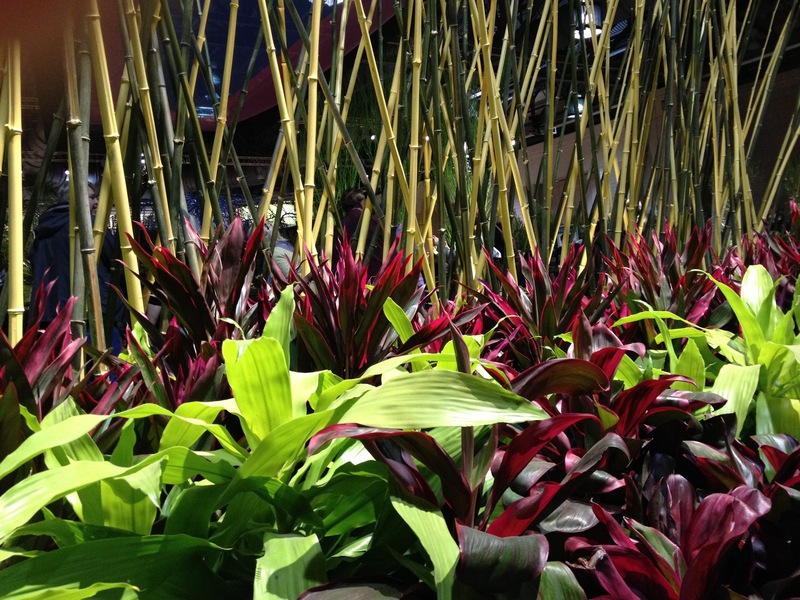 Everyone can enjoy the many benefits of foliage houseplant in their home. In addition to cleaning the air of volatile chemicals studies have show that plants can improve your overall health and mental sharpness. Today I’m sharing my easy tips on choosing and caring for houseplants. The first question I always ask my clients is, where would you like add plants to your home? And what type of light exposure does the room have? This is key! All indoor foliage prefer filtered, indirect light. Make sure you know the lighting exposure…is the light bright or a strong southern exposure, or is the light bright only in the morning, for a strong northeastern exposure…or late in the afternoon for a western exposure. Different plants like different light exposure. Look for plants that have lush dark green leaves, no yellowing or brown edges. The plant should have a nice full shape…no bare stems or wilting to the leaves. Now you have chosen a beautiful plant you’ll need to know how to care for it. I always tell my clients to follow, what I like to call the Lucky 7 rules for happy and healthy houseplants. 1. Keep plants away from any forced hot air or heat vents and drafty doors or windows. 2. Plants like a temperature fluctuation from day to night to be no more than 10-15 degrees, this will also depend on the variety of plant. 3. Allow plants to dry thoroughly between each watering. If you water excessively this can lead to insect problems, like fungus gnats. I recommend using a moisture meter to help you learn what is too wet or too dry. 4. Keep a calendar, mark down the day you water and then in a week check to see if plant dries out sufficiently in that time frame. If so, then water, if not wait a day or two. 5. Back off fertilizing. 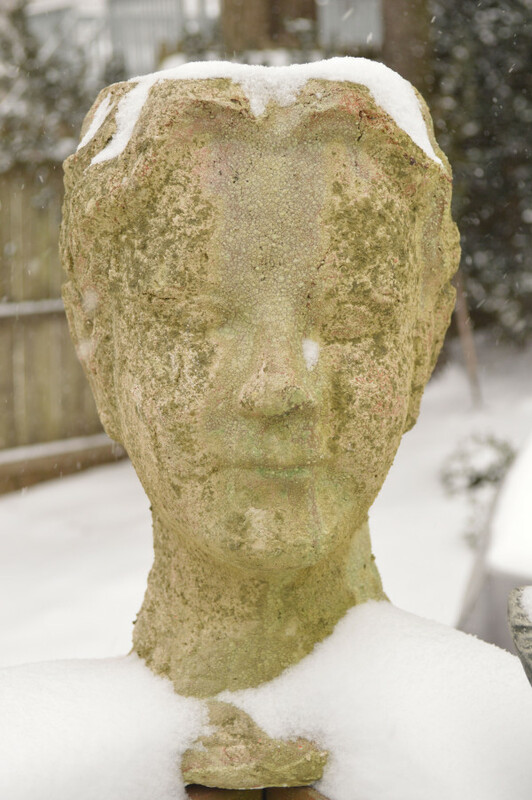 During the winter months refrain from weekly fertilizing and begin again in March. 6. 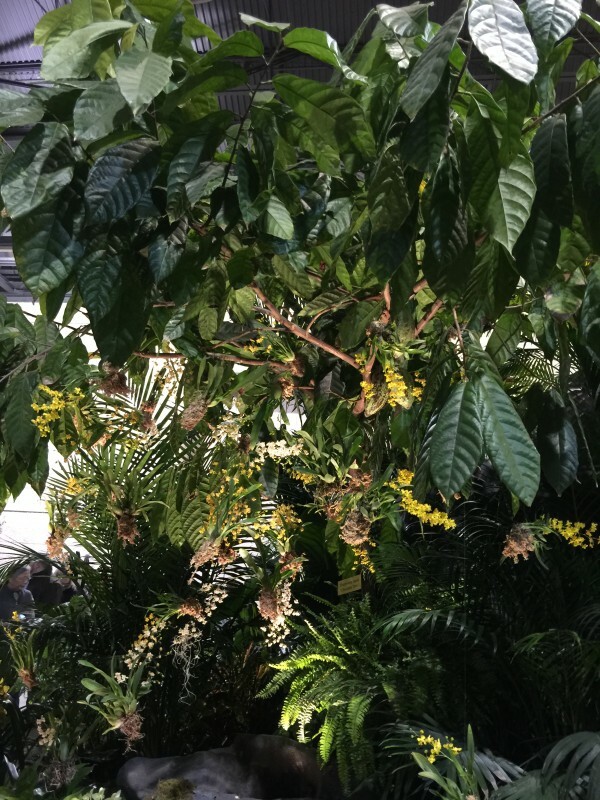 Provide lots of humidity… mist foliage 2-3x a week. 7. And don’t for get to rotate your plants a quarter or half turn weekly to avoid phototropism, plants can lean into the light and becoming lopsided. I hope these few easy tips will encourage you to garden indoors this winter season.